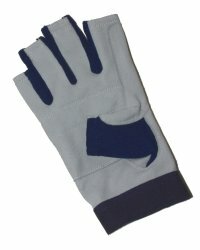 Our new sailing gloves in black/grey or navy/grey. This is the short-finger version with all fingers open. Also available with long fingers (open first finger and thumb).